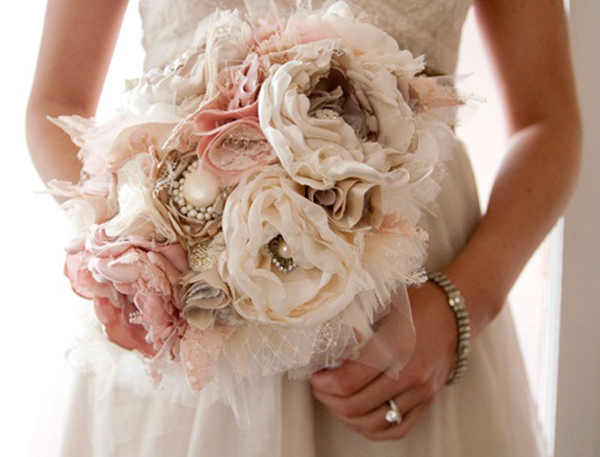 Non-floral bridal bouquets are a fantastic substitute for pretty petals. 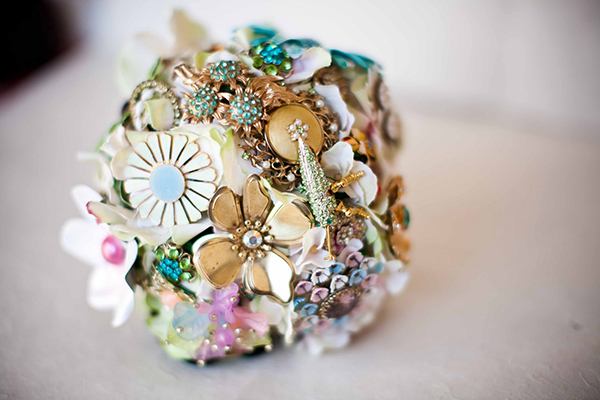 And you don’t have to be an alternative bride to appreciate them; forgoing flowers for a nice brooch bouquet keepsake can be elegant and practical when, let’s face it, expensive roses will be limp by morning. 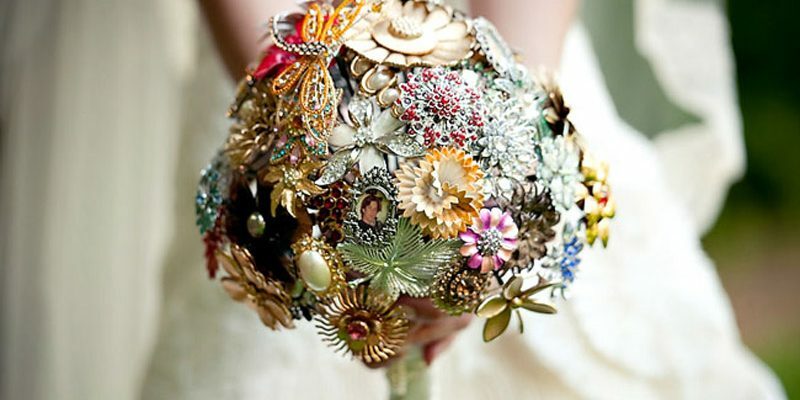 If you’re a slave to sparkle, look out for heirloom or brooch bouquets. These vintage looking keepsakes are ornately designed with antique brooches, satin flowers, lace, jewels and what ever you desire, to complement the style of your wedding. 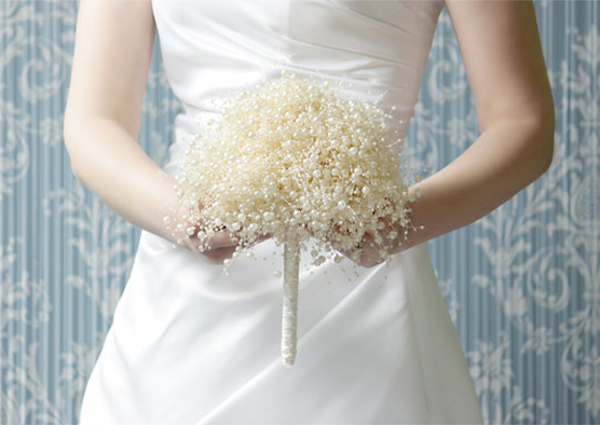 If you dabble in arts and crafts, get creative with a felt bridal bouquet. They’re soft and put a playful spin on a traditional wedding. 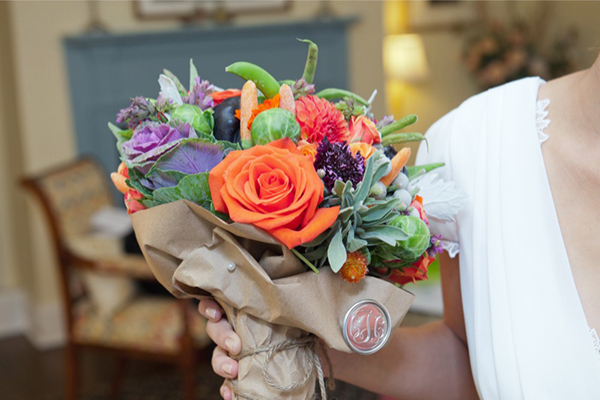 For eco-warrior wives-to-be, add to the greenery with a vegetable bouquet. 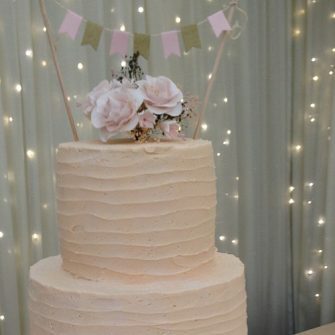 Explore a rainbow’s worth of ripe legumes to fit with your chosen bridesmaid colour scheme. 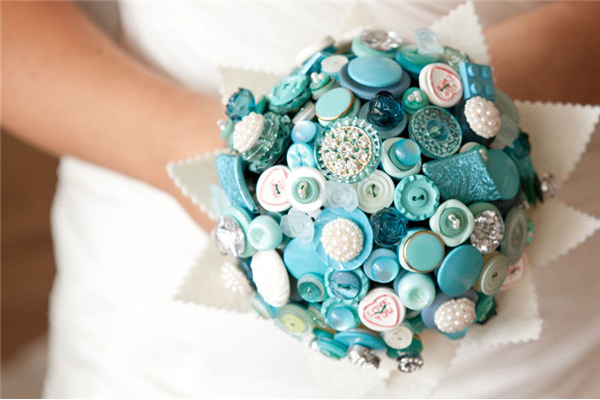 Button bouquets are a colourful option for the quirkier bride who wants to sprinkle fun over her big day. 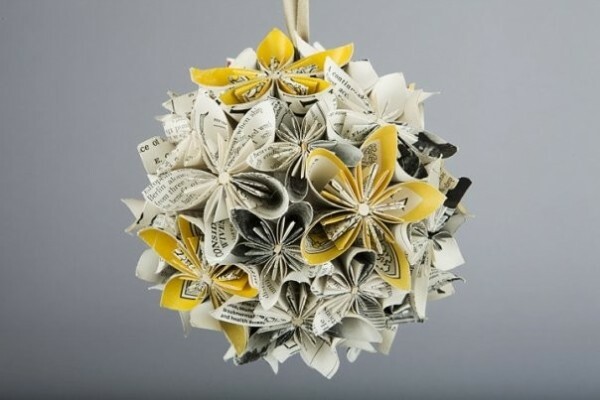 Paper bouquets are no doubt and unconventional choice, but they’re practical too – you can catch up with the news while you’re waiting for your meal at the reception. 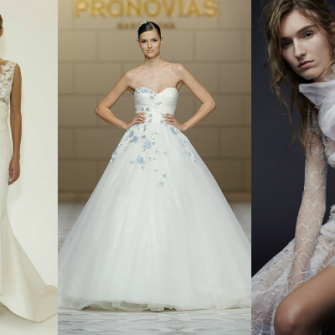 Pearls are an excellent choice for brides who want an elegant, vintage style touch without using traditional flowers. 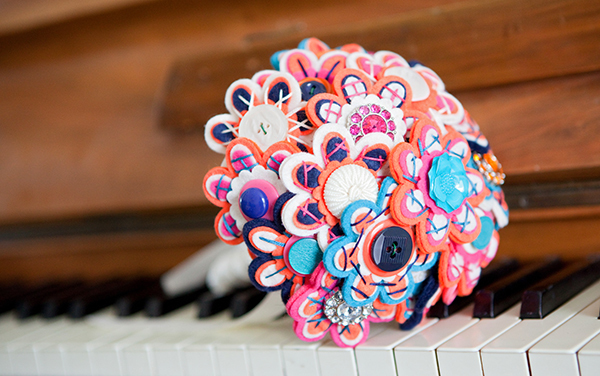 Fabric bouquets are effortlessly feminine, soft and good for your conscious too, because they’re hand crafted from 100% recycled materials.